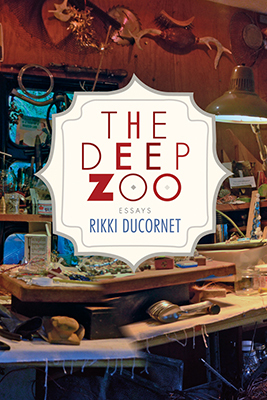 In his review of Rikki Ducornet's The Deep Zoo, bookseller and writer Stephen Sparks asks, "Do we want art to lull us or arouse us?" He lauds Ducornet for "pushing against the limits, both formal and moral, imposed upon the imagination by those who fear the consequences of ingenuity and freedom." Ducornet's book, along with the other four titles reviewed here (by booksellers from some of the best indie bookstores in the country—Elliott Bay Book Company, Green Apple Books, Greenlight Bookstore, and Odyssey Bookshop) not only resist that fear but also subvert the powers that wield it. There was some design to this issue's selection of titles (while there hasn't been in previous issues). The Improbable, No. 5 is timed to release just before Book Expo America, the largest book trade event in North America: a vast landscape of the book as an algorithm-friendly commodity, easily digestible, trend-compliant, the safest bet. These five books, in contrast, are exquisitely category-resistant, embracing real risk-taking and the multiplicitous natures of reality, preferring juxtaposition and synthesis over the literal and the linear, and thus they inhabit a very different terrain, one that The Improbable seeks to illuminate. 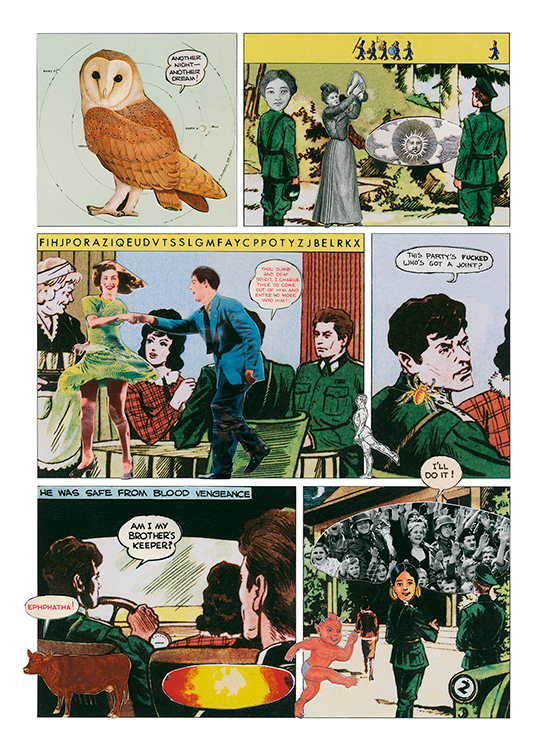 Ryan Mihaly in his review of Here Comes Kitty: A Comic Opera describes the book like this: "what is often split into binaries are together at play: order and chaos, reality and dream, sense and nonsense." I think that's applicable to the other books included here as well, and I find it very interesting that all of books here also have a direct or implicit reference to animals, pointing directly to those other binaries—animal and human, wilderness and culture, instinct and rationality. They also invoke the "creatureness" in every reader—senses electrified, awareness sharpened to see the unfamiliar in the familiar landscape (and vice-versa), intelligence and emotion intertwined rather than at odds. Finally, in all these ways, these five books (the artists and writers who've authored them and the publishers who have published them) are challenging the very powers that tell us what kind of books we want to read. The Improbable is all about hybridity. In this issue, the books are truly chimerical. If it's your first time here, I hope you'll look through other issues to see all the fantastic species that occupy a richly diverse world of books beyond the manicured lawns and gridded streets. p.s. Look for the next issue of The Improbable later in summer as we're taking a month (or two!) off. Sign up for our mailing list to make sure you get the announcement, or follow us @thehybridbook on Twitter. And if you like a review or a book, please help us spread the word! In addition to being the author of novels, short stories, poetry and essays, Rikki Ducornet is also a painter. (And, lately, the publisher of Stone Eye Press.) It is fitting then, that her latest essay collection, The Deep Zoo, which as its title suggests is something of a menagerie, blurs the boundaries between all of the media she works with. Like the wonder cabinets that have inspired her work, the pages of The Deep Zoo are stuffed full of curiosities. Unlike the wunderkammer, however, the collection is organized less by a taste for the singular or bizarre as it is by Ducornet’s capacious imagination and marvelous talent for synthesizing. 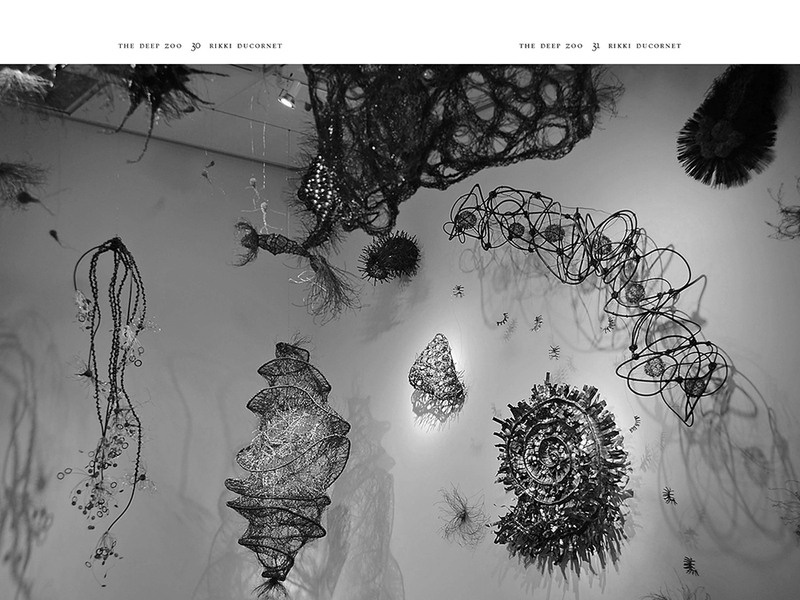 And so the reader will find herself led on a sometimes dizzying tour from Aloys Zötl’s Bestarium to Borges’ dreamtigers to Cortazar’s axolotl; from Margie McDonald’s microbial sculptures to Linda Okazaki’s haunting paintings; from hieroglyphs to Roger Callois’ secret language of stone; from the Marquis de Sade to Abu Ghraib. For many writers, simply reveling in these subjects would be accomplishment enough. But Ducornet does not limit herself to forging connections between things; rather, she is fundamentally concerned with pushing against the limits, both formal and moral, imposed upon the imagination by those who fear the consequences of ingenuity and freedom. This insistent prodding characterizes Ducornet’s work and forces us, as readers, to reconsider our expectations of art. Do we want art to lull or arouse us? Where, if anywhere, do we draw the line on art’s utility? While this kind of reconsideration may strike the serious-minded as a trifle in a world on the verge of catastrophe, Ducornet reminds us that our position in the universe reflects our imagining of it and that as a consequence, we should be wary of those who attempt to cordon this spark. This is a valuable, possibly even necessary, lesson made more powerful by the beauty and terror of The Deep Zoo. The Deep Zoo is published Coffee House Press and distributed by Consortium/Perseus Group. Rowdy, cacophonous, and totally messed-up, Here Comes Kitty: A Comic Opera is a graphic tale that takes the shape of a comic book but wonderfully subverts the form. 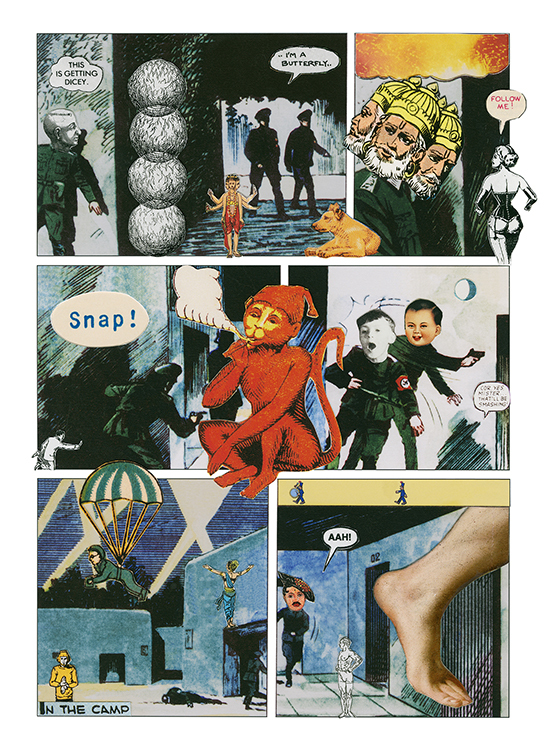 Using Kaptain Kloss, a Polish comic book from 1971, as a backdrop, Richard Kraft’s collage narrative summons hundreds of characters (animals, religious figures, Nazi soldiers, choir boys, a giant cherub that always seems to be falling on its rump) to the playing field—literally an open space for free association, interpretation, and play. What unfolds is a plotless opera that is, in every sense of the word, hysterical. In Here Comes Kitty, what is often split into binaries are together at play: order and chaos, reality and dream, sense and nonsense. Containing a dense mix of recognizable real-life figures and imaginary characters, the book feels simultaneously familiar and nightmarishly foreign. The key here is to not stare too hard. A single image—like a blue Margaret Thatcher caught in a maniacal grin pasted onto a soldier’s body, or a man who looks like he just passed gas standing atop a geyser screaming “Goaaaaaaalll!”—is enough to send you into a fit of laughter. Interpolating the comic narrative are Danielle Dutton’s prose poems, which weave another madcap tale into the opera. The poems riff off Kraft’s collages and add more characters to the fray, none more mysterious than the elusive Mania, the “girl with the face of a lonesome man.” The poems are highly associative, highly visual; because of their mesmeric logic, the opera swells to a fever pitch. Despite all the visual and textual free play, there is much to be read into. 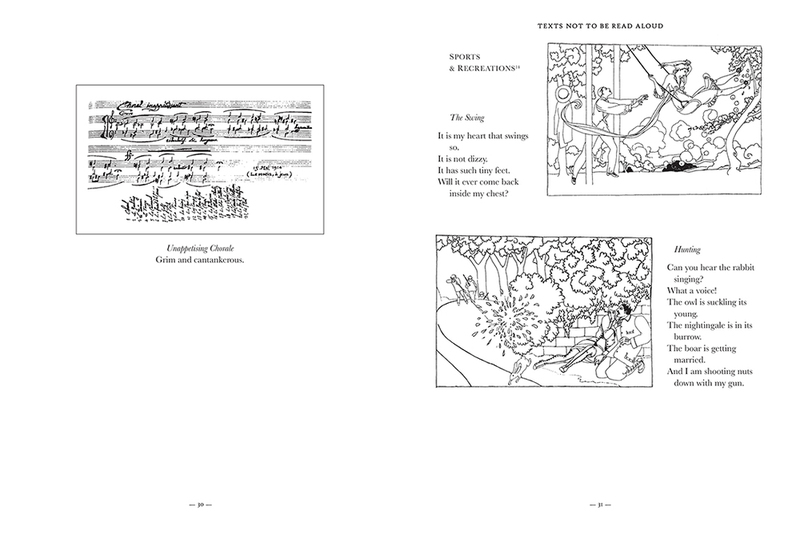 An erudite conversation between Richard Kraft and poet and Ann Lauterbach, included at the end of the book, reveals much of Kraft’s influence—Australian Aboriginal songlines, Indian miniature paintings, the Bible, his experience as a child in a boys’ choir, to name only a few—and encourages looking at the book with new interpretive lenses. The conversation is magnificent, because it asks us to stop dismissing art that appears to be meaningless and encourages us to take up our critical tools and mine for meanings. Don’t let pure rationality take over; don’t let unbridled visions have complete control either—if you let the two work in harmony, the imaginative nuances and mythical subtexts of art will smoothly open outward toward you. But don’t forget that Here Comes Kitty is raunchy like an NC-17 movie and crazy like recess gone awry. 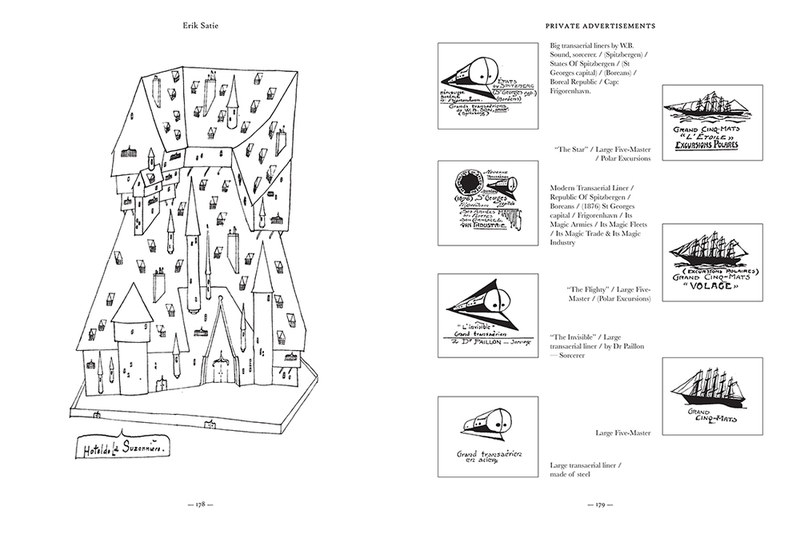 Here Comes Kitty: A Comic Opera (with interpolations by Danielle Dutton and a conversation with Ann Lauterbach) is published by Siglio Press and distributed by D.A.P./Artbook. 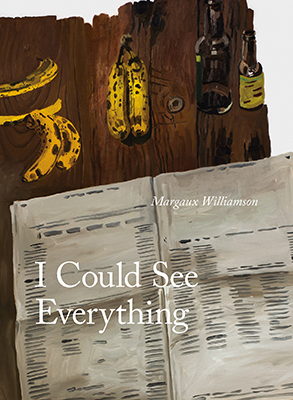 There is a deep well of loneliness in the paintings of Margaux Williamson. A nearly empty table. A torso without a face. A figure asleep on a sofa. Even the colors themselves—a largely muted palate of browns and greys—fill the watcher with the sense that something is missing, a world of bright colors that exists at the corner of her vision. It makes sense then (in a strange way) that I Could See Everything is a collection of Williamson’s paintings from an imaginary exhibit at the imaginary Road at the Top of the World Museum. These are paintings that should exist in the long nights that reach out and strangle the day, the sort of lonely, endless nights that could only exist at the top of the world. Williamson has created a world so separate from, well, what exactly? I won’t say reality because the reality in these pieces—the reality of seeing the world through books and newspapers and the internet—is the reality many of us often find ourselves living in. It is more that Williamson has created pieces that thrive within the limitations of that solitude. 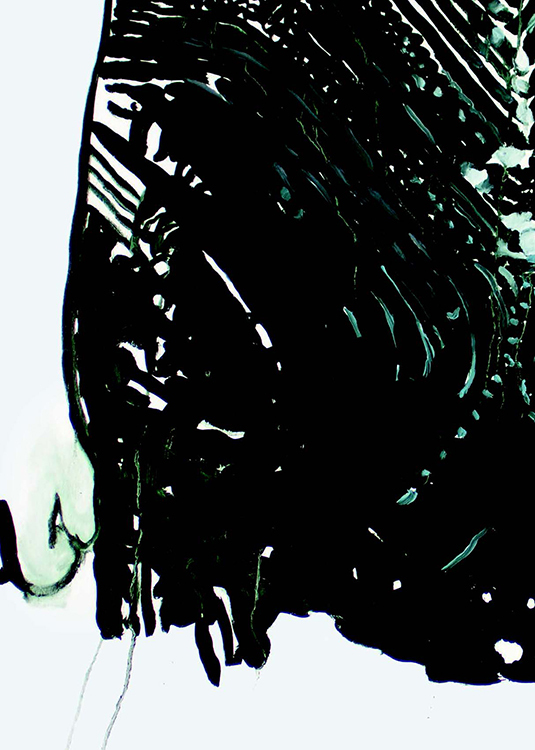 A close up on the dress of Scarlet Johansson becomes a study of the spiraling universe. A nearly empty kitchen table becomes a place where art is created. What is small is also infinite. What is ordinary is also beautiful. It is exactly because Williamson employs such a limited perspective in her pieces that they actually feel so expansive and magical, full of the power of that which is unseen in the dark nights at the top of the world. I Could See Everything is published by Coach House Books and distributed by Consortium Book Sales and Distribution.